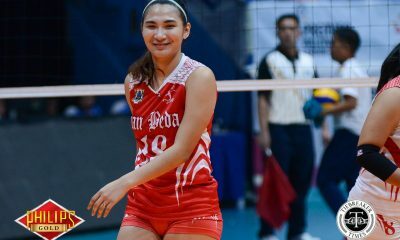 Fresh from their stint in the 2016 Shakey’s V-League Collegiate Conference, the San Beda College Lady Red Spikers opened their season with a rousing sweep of the Emilio Aguinaldo College Lady Generals, 27-25, 25-17, 25-22, Monday evening at the FilOil Flying V Centre. Chesca Racraquin unleashed 20 points to lead the herd, 19 of which came from attacks. 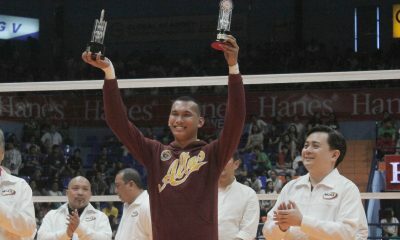 Team captain and setter Becca Cuevas was a picture of composure with 35 excellent sets in the three frames of contest. 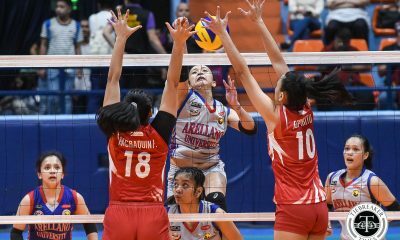 Despite the disparity in the scoring skills, with San Beda having 45 attacks, six blocks, and 10 aces compared to EAC’s 26, 3, and 6, it was the 29 errors that hurt the Mendiola-based squad. Lady Red Spikers head coach Nemesio Gavino emphasized this after the game. “Sa ngayon, maganda na panalo kami. Pero marami pa ring kulang, kasi yung mga lapses namin. So, kailangan naming i-work out sa training,” he said. The mentor singled out service errors and communication miscues as the primary concern. 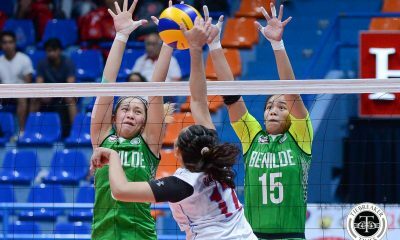 Nonetheless, when the Lady Red Spikers are on point, they simply outclassed the opponents as evidenced by the second set win. 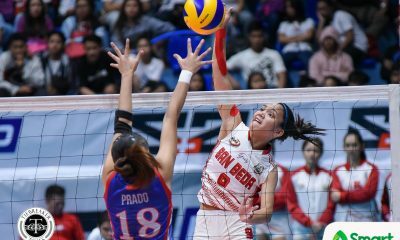 Second-year Jieza Viray had 11 points to lead San Beda’s support cast, with Satri Espiritu manning the net with nine markers, four coming from blocks. 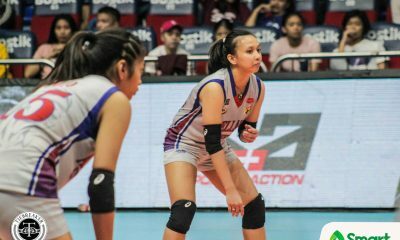 EAC skipper Ladeiheen Magbanua registered 11 points to pace her troop.